Spacious, sunny studio unit with a queen sized bed, ensuite bathroom (shower) and fully equipped kitchen. Free wi-fi & SKY TV. Parking outside the unit. Spacious, sunny studio unit with 2 single beds, ensuite bathroom (shower) and fully equipped kitchen. Free wi-fi & SKY tv. Parking outside the unit. 1 bedroom unit with queen sized bed. Spacious separate living area and fully equipped kitchen with sofa & dining table. En suite bathroom (shower), free wi-fi and SKY TV. Off street parking outside your unit. Spacious, sunny studio unit with a queen sized bed and single bed, ensuite bathroom (shower) and fully equipped kitchen. Free wi-fi & SKY TV. Parking outside the unit. 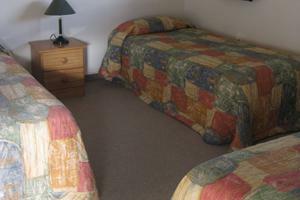 Spacious sunny 2 bedroom unit with queen bed in 1 room and 2 singles in the other. Large kitchen with hot plate, 2 rings and microwave. Sofa & dining table, SKY TV, free wi-fi and ensuite bathroom. Plenty of parking outside the unit. Great views of the mountains. 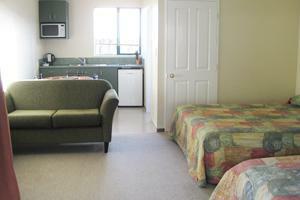 Spacious sunny 2 bedroom unit with queen bed and single bed in each room. 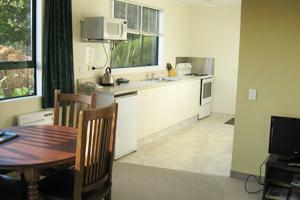 Large fully equipped kitchen with full oven and microwave. Sofa & dining table, SKY TV, free wi-fi and ensuite bathroom (shower). Plenty of parking outside the unit. Great views of the mountains. Spacious sunny 2 bedroom unit with queen bed and single bed in one room and 3 singles in the other. 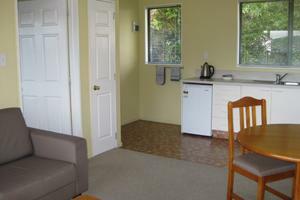 Large fully equipped kitchen with full oven and microwave. Sofa & dining table, SKY TV, free wi-fi and ensuite bathroom (shower). Plenty of parking outside the unit. Great views of the mountains. 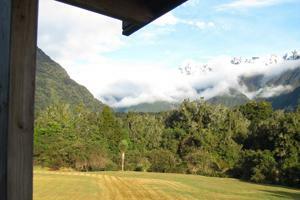 The Rainforest Motel is a family owned & operated Motel, 200 metres walk from the centre of the village of Fox Glacier. We have 12 fully self contained units ranging from Studio units for 2 to 2 bedroom units accommodating 6. 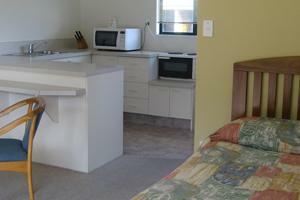 All units have en suite bathroom, fully equipped kitchens & free Wi-Fi. 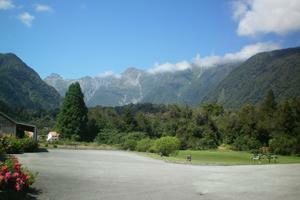 We are also one of the only Motels in Fox Glacier with SKY television providing 24 hour news, sports & movies. Large, spacious grounds look up towards the mountains, and provide plenty of off street parking. 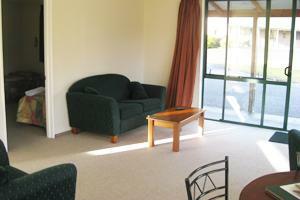 We have 12 ground-floor Fox Glacier accommodation units located in our spacious grounds. All our motel units are smokefree. Fully equipped kitchens, suitable for making a quick breakfast or more substantial dinner. 2 of the 2-bedroom units (rooms 7 & 8) have full ovens. We are within walking distance of a number of good-quality restaurants serving great food, wines & coffee, yet only a short drive will take you to the spectacular ice formations of the Fox Glacier, the tranquil beauty of Lake Matheson or the wild, rugged coast line at Gillespies Beach. Provision of baby cot, highchair & baby bath. Also a backpack available to borrow to enable you to do longer walks with your child in the backpack. We have 2 young children, so can help with child-friendly walks, restaurants & toys to borrow on wet days! Free wireless internet, & fax send/receive service. No prepayment is required when booking directly. Credit card number is taken at time of booking to secure the reservation only. We require 24 hours notice to cancel a booking without penalty. If the booking is cancelled within the 24 hour period then a 100% cancellation fee will be charged. 1 child under 2 can stay free of charge in the room using existing bedding.